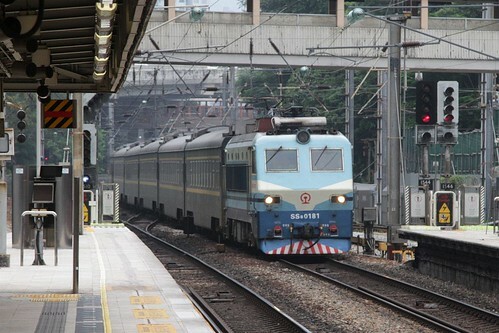 Two kinds of trains share the East Rail Line in Hong Kong – ordinary stopping-all-stations MTR trains that run every few minutes, and the ‘Intercity Through Train’ that runs express from Hung Hom into Mainland China. But how do fast and slow trains coexist on a 34 kilometre long route with only two tracks? 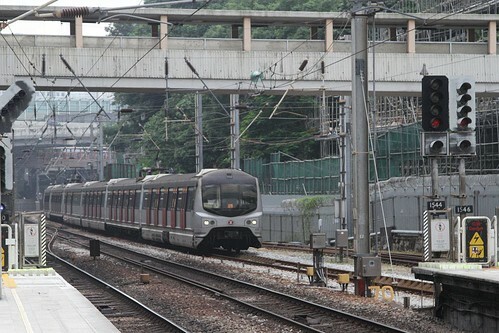 The first trick is to delay the all-stations MTR trains to make space for the express train to run in front of it. 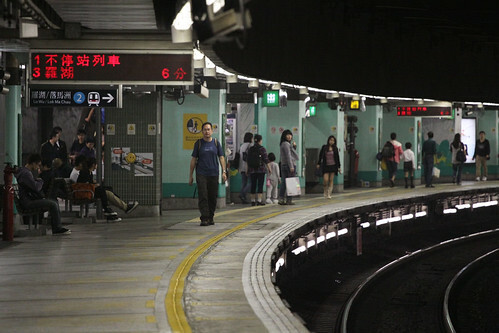 Here at Mong Kong East we see an empty platform and a six minute gap until the next service: the Lo Wo bound train has already departed, with a ‘not stopping’ message on the next train display indicating the track is cleared for a northbound Through Train. 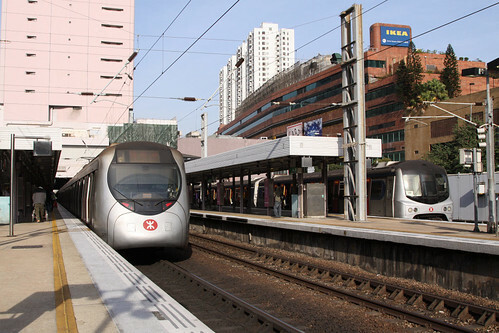 Immediately after the Through Train departs Hung Hom, the next all-stations train will depart hot on the tail. The other trick is for the fast train to overtake the slow one. 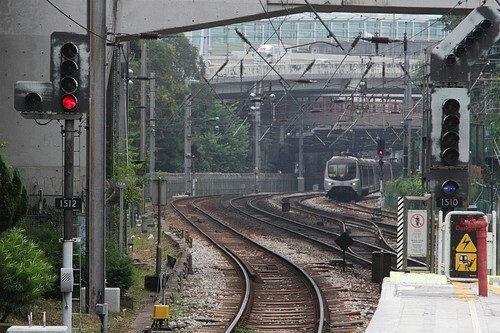 Sha Tin station is located 10 kilometres north of Hung Hom station, and has four tracks. Along with a short section of quad track. Normally all-stations trains take the ‘inner’ platform faces – but when an overtaking move is planned, they are routed onto the ‘outer’ track. They then arrive into the platform. And stop as normal, but with the mainline clear. 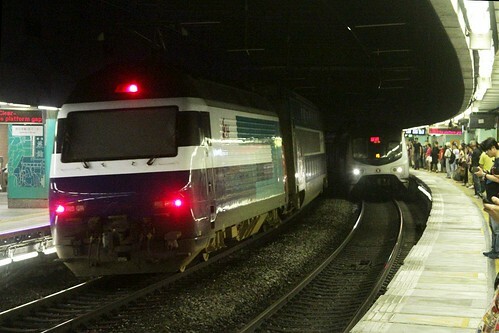 The Through Train appears soon after. Running through the clear platform. And continues along the line. 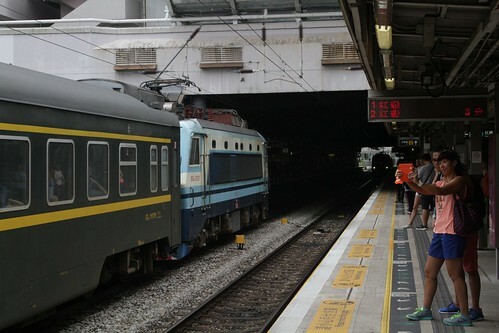 The total delay to the all-stations train is around five minutes – this video shows a SS8 hauled Through Train overtaking a northbound MTR train at Sha Tin. 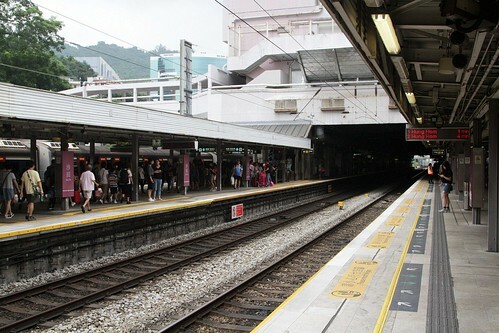 Overtaking moves are also possible at Fo Tan and Tai Po Market: both stations have four platforms serving three tracks. 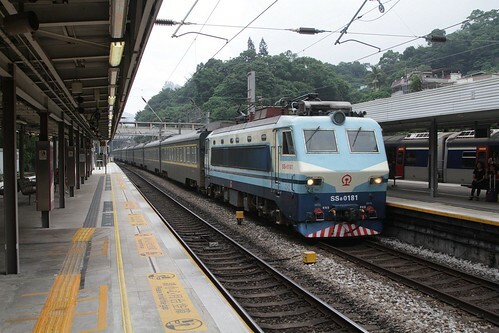 However from my research it seems overtaking moves are not timetabled at either station – Through Trains take the outside platforms, same as all-stations trains, with the centre platform only used for terminating MTR services. Another northbound overtaking move at Sha Tin – this time with the double deck MTR Ktt train, and with the waiting time cut out of the video. 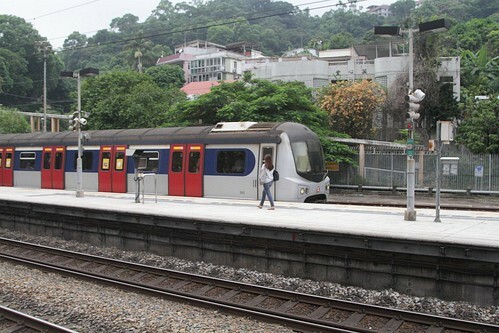 This entry was posted in Transport and tagged China Railways, East Rail, Hong Kong, KCR, Kowloon Canton Railway, line guide, Mass Transit Railway, MTR, MTR Intercity Through Train, New Territories, railway, trains. Bookmark the permalink.